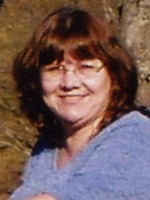 Linda M. Butler passed away Sunday, March 20, 2011 in Arizona. She was preceded in death by her husband Wilbur Butler. Surviving are her children, Donna (Ron) Mesbergen of Florida, Neomi (Rob) Crowley of Florida, Diana (Chuck) Charron of MI, Tom (Diana) Butler of Arizona, and Bill Butler of Florida, 12 grandchildren, and 12 great grandchildren. According to Linda’s wishes, cremation has taken place and a graveside service will take place Wednesday, April 6 at Oakwood Cemetery in Allegan, MI, at 2pm. Family is being served by Winkel Funeral Home in Otsego, MI. Adam C. Massie of Holland, Michigan died Sunday March 20, 2011, at his home. Adam was born December 9, 1969 in Allegan to Larry and Judith (Oisten) Massie. He was a 1988 graduate of Otsego High School, where he was active in the National Honor Society. Adam earned a Bachelor Degree in Engineering from Western Michigan University and worked for many years in Holland for several auto parts manufacturing companies. Surviving are his father, Larry B. (Priscilla) Massie of Allegan; two brothers, Wallace G. Massie of Allegan Co. and his children Taylor, Carson and Alex Massie, and Larry B. Massie II of Kalamazoo and his son, Jackson; two sisters, Maureen D. Massie and Autumn E. Massie, both of Allegan; his grandmother, June Hickey of Mattawan; aunts and uncle, Grace (Jim) Richardson, Peggy (John) Kraak and Dale (Candy) Oisten. He was preceded in death by his mother, Judith K. Massie; and grandparents, Clayton and Marion Oisten, and Wallace B. Massie. Cremation has taken place. Memorial services will be held at 11:00 A.M. Monday at the Winkel Funeral Home, Otsego. Burial of ashes will be at Mountain Home Cemetery, Otsego. Contributions in memory of Adam may be made to the Otsego District Public Library. Terry D. Wolfe of Martin, Michigan, passed away Thursday, March 17, 2011, at his home. Mr. Wolfe was born February 4, 1937, in Otsego to Emerson and Doris (Cotton) Wolfe and was a lifelong resident of the area. Terry served his country in the U.S. Army. For many years he was employed as a tool and die maker with Rockwell International in Allegan, and then with Knapp & Vought in Grand Rapids. Terry loved to shoot trap and was a member of the South Kent Gun Club, the Fennville Rod and Gun Club and the Otsego Moose Lodge #345. In August of 1973 in Otsego he married Donna (Brabon), who survives. Also surviving are three children, Tracie (Randy) Crapsy of Florida, Tad (Kathy) Wolfe and Tal Wolfe, both of Plainwell; ten grandchildren; several great-grandchildren; and a sister, Brenda (Mel) Fargo of Allegan. Funeral services will be held at 11:00 A.M. Monday at the Winkel Funeral Home, Otsego. Friends may visit with his family from 10 – 11 A.M. Monday. Cremation will follow. Contributions in memory of Terry may be made to the Salvation Army. Peggy Ann Riemens of Plainwell, Michigan passed away Tuesday, March 15, 2011, at her home. Peggy was born November 8, 1956 in Kalamazoo to Robert and Jacqueline (Hamilton) Stanfill. She had earned an Associate Degree in Medical Terminology from Kalamazoo Valley Community College. For many years she was employed as a retail clerk with Big Wheel, Clark Gas Station and Schwartz’s Restaurant. In her leisure time she enjoyed playing Bingo at the Moose Lodge and V.F.W., sewing, making jewelry, gardening, yard work, computing and spending time with her family. On April 1, 1977 in Plainwell Peggy was married to Jim Riemens, who survives. Also surviving are her son, Jason Riemens of Kalamazoo; brothers and sisters, Allen Stanfill, Sue (Dan) Bowers, Betty Lambert, Judy McKee, Rick Stanfill, Linda Peterson and Roy Stanfill; many nieces and nephews. She was preceded in death by a brother, Jerry Stanfill. Friends may meet with Peggy’s family from 4 to 7 P.M. Thursday at the Winkel Funeral Home, Otsego, where funeral services will be held at 11:00 A.M. Friday, Funeral Celebrant Bill Rose officiating. Burial will follow at Hillside Cemetery, Plainwell. Contributions in memory of Peggy may be made to Lending Hands. 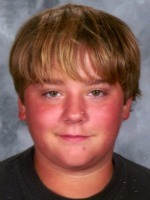 Benjamin C. ‘Ben’ Selby of Plainwell, MI passed away Sunday, March 13, 2011 of injuries from a quad-runner accident. Ben was born August 18, 1995 in Grand Rapids, the son of David and Annette (Macomber) Selby. He was a sophomore at Plainwell High School and was a member of the Fennville Rod and Gun Club. Ben was an avid fisherman and loved the outdoors and woodworking. Surviving are his parents; a half-brother, David Selby, Jr; his grandparents, Quincy and Lavina Dunlap of Allegan and Everett and Clare Macomber of Gun Lake; aunts and uncles; Jeanette (Vic) Ferris, Todd (Shelly) Macomber, Karmen (Lee) Brown, Tad (Trisha) Macomber, Marilyn (Glen) Rice, Mick (Carol) Selby and Jim (Joy) Selby; many cousins. Friends may meet with Ben’s family from 2 to 4 and 6 to 8 P.M. Wednesday at the Winkel Funeral Home, Otsego, where funeral services will be held at 1:00 P.M. Thursday. Burial will follow at Hillside Cemetery. 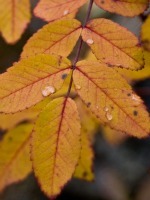 Frieda M. Junker of Otsego, MI passed away on Saturday, March 12, 2011 in Kalamazoo. Mrs. Junker was born January 13, 1920 in Otsego, MI the daughter of Ernest and Mildred (Brewster) Rheynard. She was a graduate of Otsego High School and had attended Parson Business College. Frieda worked for Shakespeare for many years as a Billing Clerk until her retirement, she then worked at the Washout Center in Otsego for several years. She was a wonderful housekeeper who always kept a clean home. Frieda always seemed to stay busy. She is survived by her children, Darlene Hampton and Bud Junker both of Otsego; 6 grandchildren; 11 great-grandchildren and 11 great-great grandchildren; and a niece, Sally Sue Carpenter of FL. Frieda was preceded in death by her parents; son-in-law, Rollan Hampton; granddaughter, Teal Wine; and her sister Verna. Funeral Services will be held Tuesday, March 15, 2011 at 2:00 P.M. at the, Winkel Funeral Home, Otsego with Celebrant Bill Rose officiating. Burial will follow at Mountain Home Cemetery in Otsego. In Lieu of flowers memorials may be left to Kairos Dwelling Hospice Home. Timothy Wayne Tripp of New Port Ritchey, FL, died at his home, Sunday, March 6, 2011. Tim was born October 8, 1943, in Plainwell, MI, the son of the late James B. and Ethel M. Tripp. On June 14, 1963, Tim was married to Sandra Garlock. Surviving are his wife and one daughter, Tammy, of Parkland, FL. Also two brothers, Michael J. of Plainwell, MI and Matthew L. (Debbie) of Gig Harbor, WA. Tim worked in sales most of his life. For many years he lived in the Dallas, TX area. David C. Jones of Otsego, MI, passed away unexpectedly at home on Saturday, March 5, 2011. David was born June 16, 1966 in Allegan, the son of Arnold and Marian (Porter) Jones. He was our beloved son, brother, father, uncle and grandfather. Surviving are his daughters, Dominique Jones of Grand Junction, Dannielle and Jarom Snowden of Lawton, Desirea Jones of Grand Junction; his mother, Marian Jones of Otsego; 9 grandchildren, Kylee, Renae, Kadence, Tommy II, Chase, Tyler, Madeline, Kendra and Wesley; siblings, Vicki (Mark) Hofacker, Bob (Terri) Jones, Robin (Ken) Davis, Arnold (Nora) Jones, Bruce (Ruthann) Jones, and Diane (Danny) Connor; and many other family members and friends. He was preceded in death by his father, Arnold Jones; his grandparents; and a nephew Brian Jones. Friends may meet David’s family from 1 to 2 P.M. Tuesday at the Winkel Funeral Home, Otsego, where funeral services will be held at 2:00 P.M., Pastor Troy Gentz officiating. David’s life changed when he was 12 years old. He had a swimming accident that left him handicapped. He did things that no one else in his condition would have tried, like bowling and golfing, because he fell quite frequently. David loved his family; he loved Medena (Mom’s cat); he was a great listener and never passed judgment on anyone; and he wasn’t afraid to speak his mind. David had a great sense of humor, hint of sarcasm and could make you smile. David was very artistic; he loved making cards, paintings and jewelry, and loved music. He was into ALL kinds of sports. He absolutely LOVED the Red Wings!!! He loved bowling, golfing and playing pool; he helped coach softball for many years. He was a trivia buff on many different subjects and loved playing games. He recently learned to play a dice game called Farkel and Farkeled quite regularly, taking chances rolling the dice to beat his opponents. He was very competitive and would try his hardest to come up with a winning score. He enjoyed playing Wii frisbie golf and tennis with Cindy until he won. Jeopardy and Wheel of Fortune were among his favorites too – he shouted out the answers before they were given. He could do crossword puzzles like no other – actually finish them – we are talking the New York Times puzzles! He loved to travel . . . One of David’s most treasured times was when he went to Jamaica with Joshua and Keone. He went white water rafting in West Virginia and had the ride of his life there. One of the projects he was working on, he didn’t get it finished, was a canvas board painted sky blue with clouds and this saying to go on it: Forgiveness allows me to Remember & Acknowledge my offense without poisoning my present or contaminating my Future. You’ll be missed.